Growers and trade suppliers specialising in flower bulbs, bare rooted perennials, shallots, rhubarb and asparagus crowns. Broersen Bulbs was proudly established in 1951. With over 60 years experience in the growing and supplying of bulbs, you can be sure of buying quality products from a reliable and respected grower. We offer a convenient Australia-wide service, supplying a large range of bulbs and perennial plants to the nursery and cut flower trade as well as local government councils, landscapers, parks and gardens etc. Home gardeners can purchase a range of our products from the following retailers: Tesselaar Direct, Lake Nurseries, Garden Express, Vogelvry Bulbs & Flowers and Hancock's Daffodils. 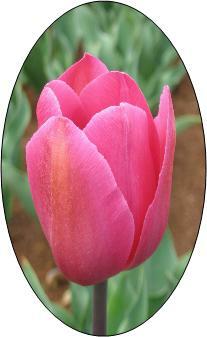 We are the major bulb suppliers to Floriade and Bowral Tulip Time. Selecting one of the menu options here will direct you to our Growing Guides for Bulbs, Frequently Asked Questions and more. For trade enquiries, please click here to email us, or otherwise write or phone us today at the address below.